Here I am a month after the last post and it is has been a month of very little ‘radio antics’. I was acutely aware that since the end of September my wife had become a radio widow so promised not to lock myself away in the shack for a while and have been doing some much needed painting and decorating around the house. I haven’t been in much of a radio mood anyway as I have been unwell and am still not fully over my last wobble. Band and weather conditions have been rubbish with a sustained period of high wind and rain including storms Abigail and Barney. As a precaution I dropped the pole and it became apparent I had some maintenance to do on the OCFD. The shack too had been in need of some sorting out, which I thankfully I did muster enthusiasm to tidy up. It isn’t the first time I’ve seen this sort of signal, but I had thought it had gone away, it seems it is back and stronger! This was an ARISS contact I monitored back in 2013 before I was licensed with a similar noise. After using the SDR to identify the noise I realised I have been neglecting the FUNCube Dongle for far too long. So ordered some new SMA adapters from HamGoodies and pressed it back into service. I have been using it to decode the telemetry from the FOX-1A (AO-85) satellite with the updated software and have now got myself on the leader board even if the collinear is currently horizontal about four feet off the ground! South Kesteven ARS had a talk in October by Sean Burton 2E0ENN about amateur DMR where he demonstrated some handsets and the new DV4Mini which allows gateway and internet linking. I remembered I dabbled a few years ago with decoding PMR DMR using the SDR and a scanner with a discriminator tap using various programs but they were very hit and miss at the time. I reacquainted myself with the various projects and had a go at decoding some amateur transmissions. I downloaded the latest program called DSDPlus (support at RadioReference.com) and monitoring the nearby GB7RR DMRPlus repeater managing to get some clear decodes with little effort. Finally this week I gave a presentation at SKARS on the subject of HABs and how to plan a HAB launch. 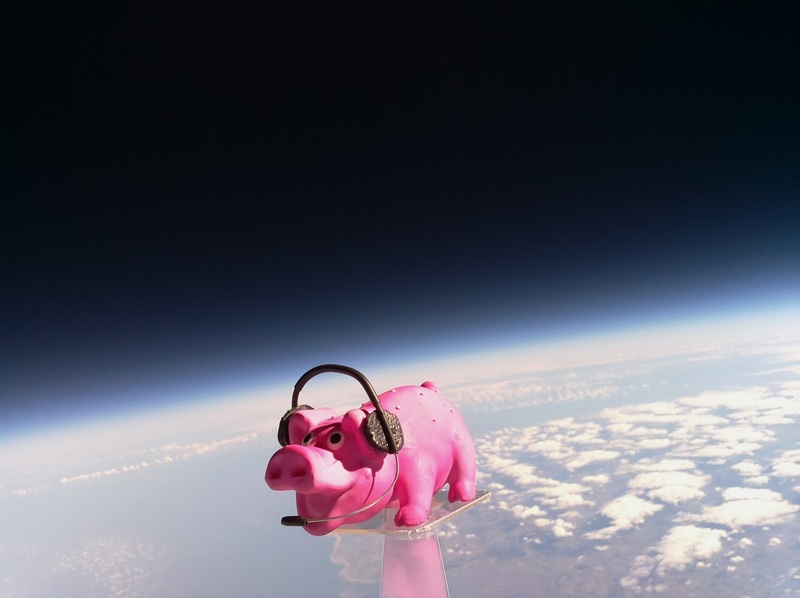 Following on from the Eggsplorer-1 and Hamfest “Pigs In Space” HAB launch I decided to try to explain everything I had learned for anyone else contemplating giving it a go! It was a long talk (perhaps too long) as I covered everything from building the electronics, software, making the payload box, getting the right balloon, parachute, gas, obtaining permission and then the prediction, launching tracking and recovery. It was a great turnout with a lot of interest.